Also, here is Seamus Deane's poem [click poem to read it or download], taken from his collection, Gradual Wars (IUP, 1972). And, to round off, a well-crafted effort by Seamus Heaney, which indicates how Heaney became a favoured poet of the self-satisfied southern middle class, who ran scared from the north in the 1970s. The Heaney poem comes with explanatory context. 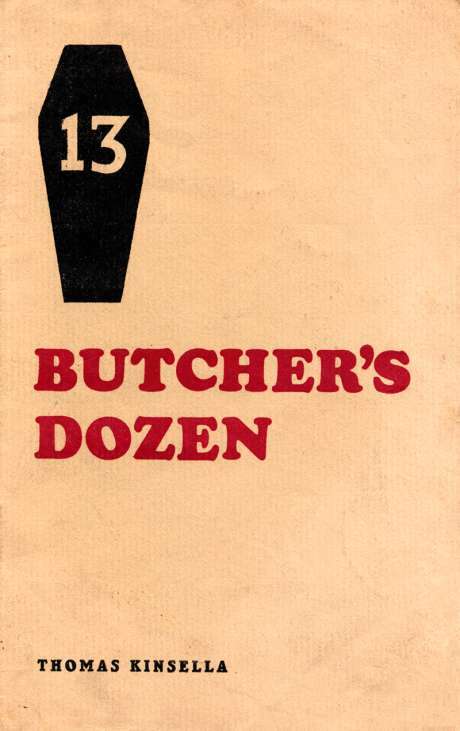 Deane's poem does not seem to be otherwise available online. ". 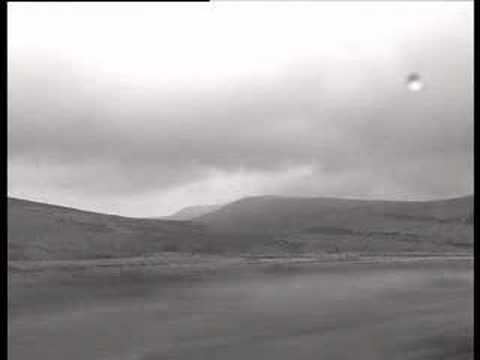 . . You're mother's been killed by the Armee-e, Doo da, doo da" (voice singing). Static . . . "Return fire . . . Aim pistol lower regions . . Roger, Wilco. Out." . . . Static . . . (sound of shot) . . "Yoo-hoo! Well done! Keep it up." . . . more static . . . "I said shoot for lower regions . . . the balls" . . . "Over" . . .
During the hunger strikes and the blanket protests, there was criticism of Heaney for not supporting the protesters, some of whom were from his own area. Heaney claims Sinn Fein put pressure on him, which they deny. 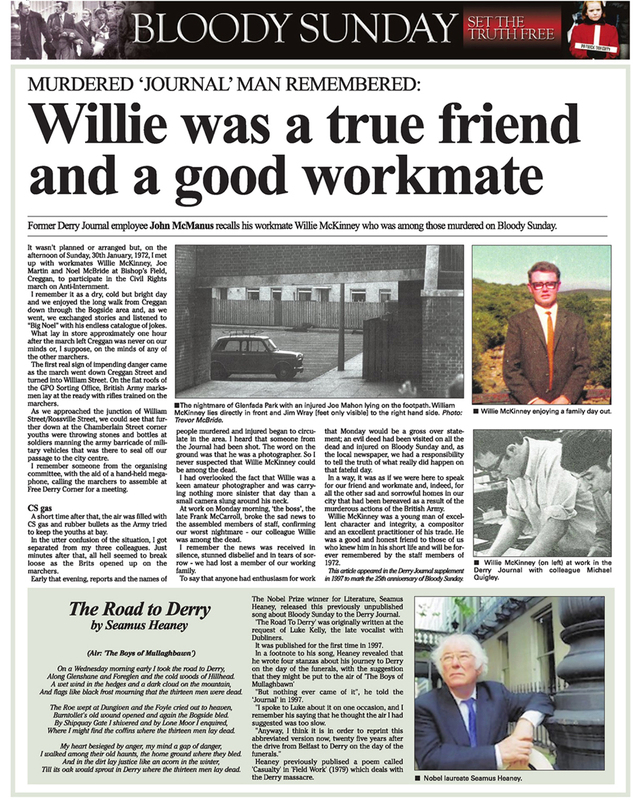 In an interview in the book ‘Stepping Stones – Interviews with Seamus Heaney’ by Dennis O’Driscoll, he says that that on the night when Francis Hughes's body was returned from the jail to his family, he was staying in Oxford University in rooms that belonged to a British Cabinet Minister in Margaret Thatcher's government. In some ways, Heaney has always been an acceptable face of Irish culture for a British audience. His night between the sheets in Keith Joseph's well appointed rooms at Oxford, while Francis Hughes (who he still describes as a "hit man") was lying dead in his parent's front room is, he admits himself, emblematic. 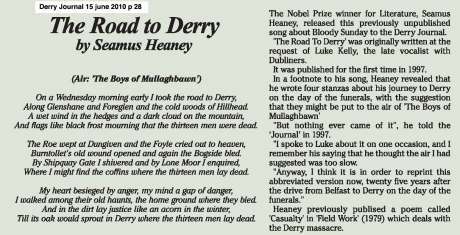 In its 15 June 2001 edition the Derry Journal published the attached article revealing that Seamus Heaney had written a poem at the request of Luke Kelly of the Dubliners in 1972. 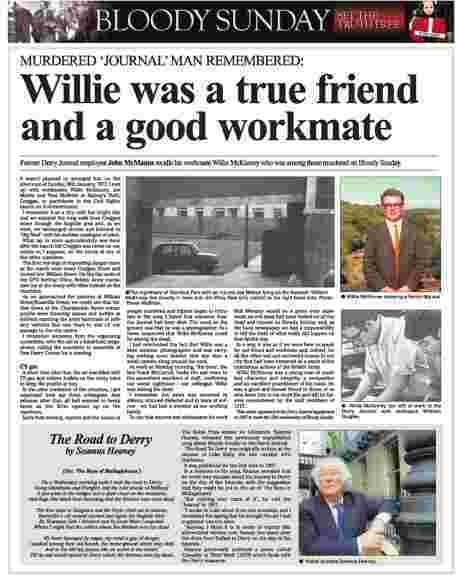 Heaney told the Derry Journal this in a letter in 1997. 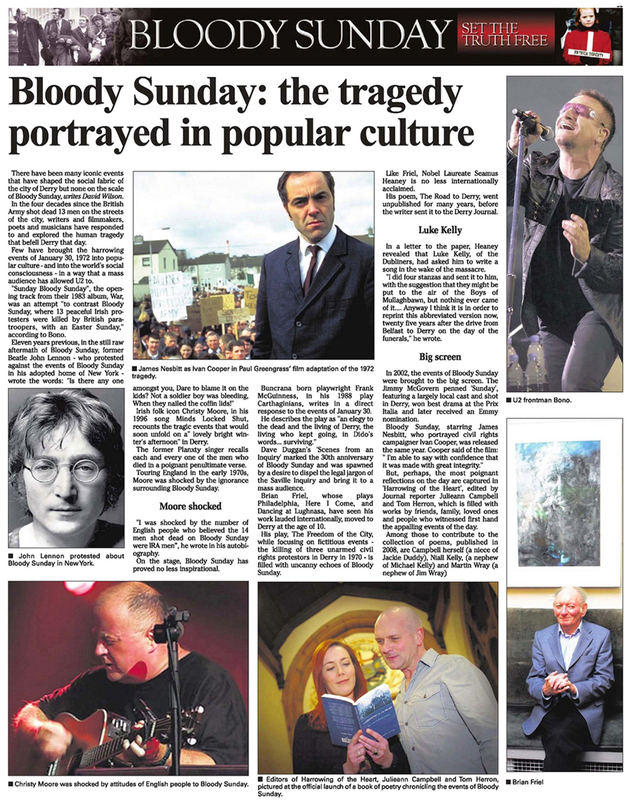 The poem was written in 1972 on the day of the funerals of the Bloody Sunday victims. 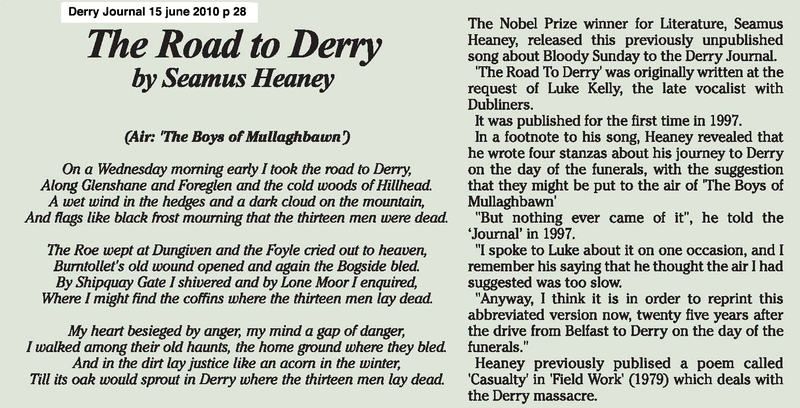 Heaney released half the poem in 1997 on the 25th anniversary of the massacres and, perhaps more significantly, three years after the IRA ceasefire. I wonder what is in the other half. Perhaps now, after the Saville Report has been released, Heaney might consider releasing the remainder for posterity. Also attached, a page on Bloody Sunday in popular culture.